Online gamblers in Australia are likely to face continuing crackdowns and market restrictions as Aussie legislators consider the enactment of the Interactive Gambling Amendment Bill 2016. 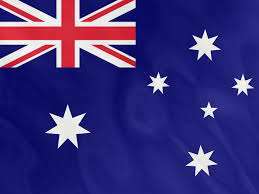 The bill was promised earlier this year by Australia’s Minister for Human Services Alan Tudge, as part of an effort to formally clamp down on “in-play” online sports betting activity that technically violates Aussie law. However, the bill may have unintended consequences if approved in its current form, including the virtual banning of online poker in its largest Southern Hemisphere home. The battle, which started out as a tug-of-war over the in-play betting issue, now seems likely to result in increased regulation and the threat of hefty fines for companies found to be violating Aussie law. The tussle’s focal point: Australia allows in-play betting on sports events, but only if done physically, via telephone call. However, in-play wagering has been available for years, offered on Australia-facing sites based in nearby Pacific Rim countries, with all of those sites operating without proper Australian licensing. Some (but not all) of the Aussie-licensed bookmakers have fought back by creating technical loopholes that can be accessed via smartphone apps, thus enabling smartphone-based, in-play wagering without actually having any voice-to-voice communication between site and bettor. Aussie regulators and legislators have repeatedly declared such apps illegal, despite their predominant availability on all the competitive gray-market sites. And that’s where Tudge’s measure comes in, the result of years of government research in trying to bring Australia’s online-gambling laws up to date. Those laws haven’t been updated since 2001, and they’re antiquated. Yet the new measure, a series of amendments to made to the 2001 Act, goes far beyond the in-play betting issue, even as it strengthens the existing ban on that activity. Tudge’s measure also includes a crackdown on international operators who may be licensed elsewhere, but not in Australia. It also includes a call to establish a National Consumer Protection Framework (NCPF) for the country. 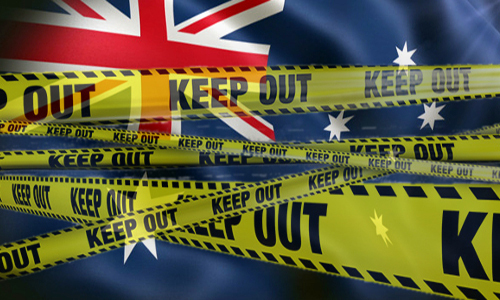 The proposed ban on international operators not specifically licensed in Australia is a looming problem for the country’s online poker players. Australian online poker exists in a separate gray-market area, similar to the United States and some other jurisdictions, in that it’s never been officially approved or banned. Australia has considered formal approval of online poker, but the last effort in that regard was abandoned back in 2013. Tudge’s bill would ban all forms of online gambling not specifically approved — for example, sports wagering — which would result in a de facto ban on online poker. As an example, global online-poker market leader PokerStars is a leader in that niche, and along with several other companies might find itself unable to offer its services in the country or else risk its already-active licensing in other countries. And a separate clause in Tudge’s proposal would keep Australia-based companies from offering similar services to other countries where they’re not likewise formally approved, which might cause issues for a smaller outfit such as the Merge Network. Tudge plans to meet with government ministers later this month to finalize plans, which also include such trappings as a public registry of firms found to be in violation of the heightened restrictions. Tudge also plans to share such blacklists with licensing regimes in other jurisdictions, the better to scare off any operators who continue to serve Aussie gamblers in ways not officially approved. (e) unlicensed regulated interactive gambling services must not be advertised. • The ACMA (Australian Communications and Media Authority, the designated regulatory body) may, on its own initiative, or in response to a complaint, investigate whether a person has contravened a provision of this Act that imposes any of those prohibitions. • A body or association that represents internet service providers may develop an industry code. • The ACMA has a reserve power to make an industry standard if there is no industry code or if an industry code is deficient. • The ACMA must notify prohibited internet gambling content to internet service providers so that the providers can deal with the content in accordance with procedures specified in an industry code or industry standard.